Fukushima - 27 children developped thyroid cancer! First of all, let me give you the latest data of thyroid cancer test in Fukushima as of June 2013. Though we do not know the exact number since the examination is still underway and especially 2nd tests had not been completed with many suspected subjects, we can tell that the incidence rate has already jumped dozens of times compared to the 2005 statistics of 1 thyroid cancer out of 100,000 among Japanese minors. As of now, 11 thyroid cancer kids in fiscal year of 2011 and 16 in 2012, in total 27 thyroid cancer cases were found. （ただし、表３によりますと、２０５人中１６６人しか２次検査を受けていないため、残りの３９人が検査を受けると、１１人より増える可能性があります。）In the fiscal year of 2012, already 16 thyroid cancer cases were found out of 134735 (however, once again, only 255 out of 935 children went through the 2nd examination at this stage, so if the remaining 680 go through the 2nd exam, this number could boost later. A major earthquake hit eastern Japan on March 11, 2011. The Fukushima Daiichi NPP was critically damaged and has been emitting large amounts of radionuclides since that time. This earthquake-vulnerable country has nuclear power plants nationwide. A small but increasing number of municipalities are adopting antinuclear policies. Regarding the Ohma NPP project, however, politicians and local municipalities are clear about having no plan to give it up. Atsuko Ogasawara is Asako Kumagai's daughter. The mother and daughter together built a log house on one of the plots to show their resistance, but Asako passed away in 2006, before moving into the house. Atsuko Ogasawara has been guarding Asako House ever since. Ms. Ogasawara, whose home is located in Hakodate, the city facing Ohma across the Tsugaru Strait, visits Asako House several times a week to take care of the house and the vegetables she raises there. The antinuclear action she is most committed to is to request people to write to her at Asako House. She always carries prepaid postcards on which the address of Asako House is printed. The one-kilometer pathway J-Power prepared to allow access to Asako House is unpaved and fenced in on both sides. If someone writes to her, a mail carrier must visit the house, treading the pathway. This whole routine implicitly tells the company, and the neighborhood that cannot see the house from the outside, that Asako House is there, and has not been abandoned. When I visited Asako House in 2008 for the first time, soon after the Ministry of Economy, Trade and Industry granted a reactor construction license to J-Power, the movement against the Ohma project was rather small. Subsequently, however, geomorphologists have reported that it is highly possible that there are active faults in the areas near the planned NPP site, and in 2010 a group of Hakodate residents filed a lawsuit against the Japanese government and J-Power to suspend construction. Ogasawara joined the group and delivered a speech during the first oral proceedings. While having a bright and cheerful character, Ogasawara is often filled with emotion and moved to tears when talking in public. I believe that at such a time she strongly wishes she could show the audience to her late mother. When the Ohma NPP project was announced, many local landowners were against it and refused to sell their land at first. However, one after another, they gave up and finally Asako became the only landowner to own major plots of land in the very center of the premises. In the town, where a great majority of the population was in favor of the project, Asako faced a very lonely struggle. 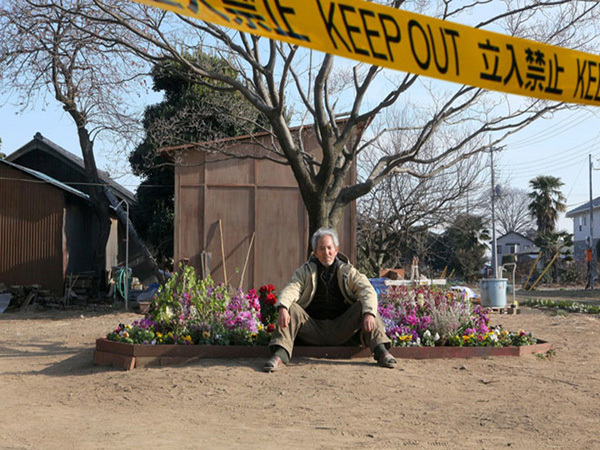 In late May 2011, a rock festival was held on Atsuko's plots, surrounded by cranes and plant facilities under construction, including the bizarre containment vessel. The festival attracted many supporters and music lovers, and was covered by multiple media outlets. Atsuko, who took over her mother's lone struggle, is no longer alone. The Japan Electric Power Development Corp (J-Power) resumed construction of the Ohma nuclear power plant in Aomori prefecture of the north of Tohoku area in Japan on 1st of October, 2012. It was 40% complete in March 2011 when the Fukushima disaster happened.Ohma would be the first Japanese reactor built to run solely on MOX fuel incorporating recycled plutonium. Mr. Shunichi Tanaka, a head of nuclear regulation Agency mentioned in the press conference on June 26th, 2013 that it's going to be first time in the world that more than 1/3 of MOXed fuel is going to be used in the reactor. We would need to have a thorough check its safety once we receive their application of operation. They said that there is more risk in MOXed fuel reactors than uranium fuel reactors such as: poor absorption of neutron and threshold temperature of melting fuel might go down during inserting the control rod into the fuel rod. However Mr. Tanaka also repeatedly commented that he wouldn't interfere with the Japanese Government's political decision over continued operation of Ohi nuclear power plants and the operation of Ohma reactor once it's built. He let J-Power restarted to build Ohma reactor in Last October even if it wasn't scientifically proved that it's safe to build on the site in the wake of Fukushima nuclear disaster. Will the Nuclear Regulation Authority Still Allow Them to Operate? Kyoto, Japan—-The Nuclear Regulation Authority today approved new post-Fukushima regulatory standards. The standards will now be sent to the Cabinet for approval. They are scheduled to take effect on 8 July. Will the NRA ignore compliance with its new standards from day one by allowing the two currently operating nuclear reactors in Japan, Ohi Units 3 and 4 to continue to operate, thus setting the precedent for further non-compliance? At issue is whether Japan has learned the lessons of the Fukushima Daiichi nuclear power plant accident and whether Japan’s nuclear power will really be “the safest in the world” as Prime Minister Shinzo Abe claims. The final results of the review on Ohi Units 3 and 4 concerning whether or not these two operating reactors will be allowed to operate after the new regulatory standards take effect will probably be announced at the weekly NRA meeting on Wednesday, 26 June. It has been reported that the NRA will approve the reactors’ continued operation until their scheduled outage in September. The earthquake-resistant control room for Ohi Units 3 and 4 (maximum capacity 1000 persons) to be located on the south side of the intake outlet of the Ohi nuclear power plant site will only become operational in the autumn of 2015. In the meantime, Kansai Electric states that it will use a conference room located at the Unit 1 and 2 site. （１）The conference room at the Unit 1 and 2 site which is to serve as the center for emergency operations in the event of an accident is located right next to Units 3 and 4. Isn’t this too close to be functional? Is it not correct that the earthquake-resistant control room should be located at some distance from the reactors? （２）The conference room is approximately 105 square meters with capacity for 38 persons. The sole equipment to monitor the state of the Unit 3 and 4 reactors and other equipment under an emergency is one personal computer. Is this sufficient for full emergency response? （３）The earthquake-resistant control room facility is to be completed around the autumn of 2015. Without such a facility in place, Ohi Units 3 and 4 do not meet the requirement under the new regulatory standard. Is that correct? The Nuclear Regulation Authority (NRA) has stated that completion of a sea-wall (tsunami breakwater) is a prerequisite for applying to restart nuclear power plants. The breakwater for the Ohi site is not scheduled for completion until March 2014. This means the Ohi plant site does not meet the requirement to apply for restart under the new regulatory standard. Is that correct? The Nuclear Regulation Authority( NRA) states that nuclear power plant sites currently undergoing investigation of their shattered zones (earthquake faults) are required to have their investigation completed (conclusion reached) before they can apply for permission to restart. The Ohi F-6 shattered zone (earthquake fault) on-site investigation is still on-going and experts undertaking the investigation have not reached a conclusion. Because of this, is it correct that Ohi does not meet the new safety regulation? The Nuclear Regulation Authority (NRA) states that for PWR’s, completion of a vent with filter is a prerequisite for applying for restarts. The vent with filter at the Ohi plant will be completed in March of 2016. Because of this, Ohi does not meet the new regulatory standards. Is that correct? Since Kansai Electric refuses to meet the demand of the Nuclear Regulation Authority to establish a basic earthquake ground motion based on a 3-earthquake fault interaction, this means it does not meet the new regulatory standards. Is that correct? It cannot be said that the Ohi nuclear power plant meets the new regulatory standards when it does not even meet the demands made by the NRA as indicated above. Because of this, should not the NRA demand that the Ohi Nuclear Power Plant site immediately cease operations? Reprocessing and the Pluthermal program, using MOX fuel are little more than a makeshift solution for Japan's nuclear waste disposal problems. "Pluthermal" is a Japanese word which combines two English words, "plutonium" and "thermal". Pluthermal refers to the utilization of 'plutonium' fuel in commercial ('thermal') nuclear power plants. The fuel is commonly referred to as plutonium uranium mixed oxide fuel, or MOX fuel. A decade ago, the pluthermal program was called an interim program, a 'bridge' to consume plutonium until fast breeder reactors were developed for full-scale plutonium utilization. However, since the 1995 accident at the prototype fast breeder reactor Monju, Japan's fast-breeder reactor development program has come to a standstill, and there are no concrete plans to build a commercial fast-breeder reactor in sight. Over the last several years the government and electric utilities have argued that the pluthermal program is a method of recycling precious resources. What is Wrong with the Pluthermal Program? The use of MOX fuel increases the risk and severity of a nuclear accident. When using MOX fuel, the control rods' capacity to function is reduced and power output is less stable and harder to control. The Japanese government claims that there has been many years of MOX fuel utilization experience in Europe, but fails to inform the Japanese public that experience with MOX fuel is minimal when compared to uranium fuel. Importantly, the government fails to inform the public that the scale of MOX fuel use in Japan will be unprecedented. There will be a higher concentration of plutonium in the fuel, a higher burn-up rate ---experimentation has shown that there are serious safety concerns with high burn-ups, and no reactor adaptations such as increasing the number of control rods. Then why have the Pluthermal Program? Although plutonium is a major liability for electric utilities, the pluthermal program remains in place because at present reprocessing facilities are the only place for Japanese electric utilities to send their spent nuclear fuel. Failing to carry out the pluthermal program would imply that there is no need for plutonium, thereby making the Rokkasho Reprocessing Plant now being constructed in Aomori Prefecture unnecessary. This would then leave the utilities with no place to send their spent nuclear fuel. If this were to happen, some of the reactors at nuclear power plant sites would have to be shut down since there would be no space to store the used fuel coming out of them. Clearly, reprocessing and the pluthermal program are little more than a makeshift solution for Japan's nuclear waste disposal problems. A citizen's group 「子どもと一歩の会」 held a film event of "Nuclear Nation" at the Health and Culture center in Ohtsunashirozato-city in Chiba prefecture. About 180 people attended the event. Former Futaba Mayor, Mr. Idogawa was invited to make an speech in front of the audiences after the film was shown. Mr. Idogawa commented that the Japanese Government and Tepco have been just thinking of how they can get away with their responsibilities of the nuclear accident and starving the evacuees into surrender by giving a small amount of money. Mr. Idogawa is worried about the deal that the evacuees have been accepting: it's been more than 2 years since they have been forced to live in the temporarily accommodation. They have been going ahead with receiving a small amount of compensation to end their life in the temporarily accommodation and being compelled to accept the whole thing. He condemned the deal as a negative precedent for the residents with cheaper compensation settlement over the nuclear accident, but with a long term suffering for their future. 27 June 2013, Takahama Town, Fukui Prefecture, Japan—-A shipment of MOX (mixed plutonium and uranium oxide) fuel arrived at Kepco’s Takahama nuclear power plant today located in Fukui Prefecture facing the Japan Sea. Today’s shipment violates the Japan Atomic Energy Commission’s determination, issued in 2003, requiring utilities to specify the end-use of MOX fuel before it is imported. Kepco has not been given permission to restart its Takahama nuclear power plant. On top of that, the Japanese Nuclear Regulation Authority (NRA) has not even established post-Fukushima accident regulatory standards for MOX fuel and its use. According to the IAEA, unirradiated MOX fuel is direct-use nuclear weapons material. This shipment adds yet another 900kg (approx.) to the already 960kg of unused plutonium in MOX fuel located at 5 nuclear power plants in Japan. As of today, over 70 nations have opposed MOX fuel shipments and past shipments of separated plutonium. Japan, the UK, and France have neglected to undertake an environmental impact assessment on Japanese nuclear shipments. Furthermore, no compensation plan exists for damages in the event of an accident, and emergency planning is grossly inadequate. Many Japanese prefectures are also on the shipment route. Citizens of local governments which face the Japan Sea have petitioned Kepco and the Japanese government for information on emergency planning and compensation for damages in the event of such an accident. On 26 June, the Joint Action for Nuclear Free Korea composed of 78 groups including the nationwide Korean Federation of Environmental Movement (KFEM) issued a statement opposing the MOX shipment. “"Crucial quality control data for the MOX fuel has not been released by the fabricator of the fuel, the French company Areva SA. Not even Kepco, its client, has been given details on the kind of impurities in the fuel and other important data that could affect the fuel safety. The French nuclear authority’s remit does not include checking the quality of foreign fuel. Therefore, only Areva is privy to that information” stated Aileen Mioko Smith, executive director of Green Action. Prolific Japanese director SONO Sion takes a step back from his usual over-the-top film-making style for a restrained drama dealing with a family's struggles after the aftermath of a Fukushima-style nuclear power plant explosion in their town. A family finds themselves torn apart when a large earthquake strikes and sends the local nuclear power plant into meltdown. The 20km exclusion zone right through their front yard and for their family's future they make the hard decision for the son and his wife to flee while the older parents stay to keep their heritage alive. Theme: "Fukushima and Hiroshima, the Continuing Disasters"
The disaster in Hiroshima is often understood only with the damage of heat and blast. But there was another problem: radiation. Even those who entered the city after the bomb began to die because of radiation. Everybody is welcome! Especially, those who live in East London, come and listen to Chitoshi's speech. New research from the Massachusetts Institute of Technology into graphene, one of the thinnest and most conductive photovoltaic materials in existence, could lead to the production of highly efficient solar panels that, weight-for-weight, could be capable of producing more energy than reactor-grade uranium. In a paper published in the journal Nano Letters, MIT scientists describe the stacking of two atom-thick nanomaterials, graphene and molybdenum disulfide, to create a one-nanometre (billionth of a metre) thick solar cell capable of converting sunlight to energy at two percent efficiency. Lead author of the research, Jeffrey Grossman, the Carl Richard Soderberg Associate Professor of Power Engineering at MIT, says while this is a very low number compared to conventional photovoltaic efficiencies, the solar cell is so thin that pound-for-pound the new material produces up to 1,000 times more power than current solar technology. The research team also believe layering the ultra-thin solar cells could significantly improve their efficiency level”Stacking a few layers could allow for higher efficiency, one that competes with other well-established solar cell technologies,” says Marco Bernardi, a postdoc in MIT’s Department of Materials Science. The team foresee many applications for solar panels “thousands of times lighter and thinner than tissue paper”, such as on delicate structures like spacecraft and in the field of aviation. Shipping and installation cost could also fall dramatically. Grossman says the results of this research into two-dimensional nanomaterials like graphene has exceeded expectations – and the field is still in its infancy. Molybdenum disulfide and molybdenum diselenide, used to produce the MIT results, are just two of an unexplored realm of highly-conductive photovoltaic nanomaterials, which could lead to groundbreaking discoveries in the field of solar energy. The future appears to be bright for renewable energy sources like solar, wind, and water.In fact, power generation from such renewables will exceed that of gas and nuclear by 2016, according to a report published Wednesday by the International Energy Agency (IEA). The report comes on the heels of recent research suggesting the threat of climate change is greater than earlier estimates. An IEA report released earlier this month warned the world is on track to surpass by more than double the two-degree Celsius warming goal set by the United Nations, unless urgent measures are taken. The IEA’s recommendations include curtailing coal-fired power stations and phasing out fossil fuel subsidies. For most of us, the 1986 Chernobyl nuclear disaster is history. But the reality is its effects linger for thousands still living around the site, which will be contaminated for centuries to come. Two decades ago, a program was started locally to help those in Belarus receive treatment, and now Hope for Chernobyl’s Child is continuing that mission in Renton. [...] organizers say children now are sicker than ever from Chernobyl’s lasting effects. The people of Berlin seem to gravitate towards an environmentally conscious energy discussion. Bike commuters abound, energy efficiency and environmental concerns are a tenant of the informed public. In the relatively hot summer – 37 degree highs on average – the most noticeable omission from most building’s energy profile is air conditioning……..
Germany spearheads global renewable energy awareness Mohammed Alshoai Saudi Gazette, 24 June 13 BERLIN – The streets of Berlin face a different kind of traffic than those of Riyadh: bicycle traffic, which speaks multitudes in a city cultured with environmental awareness, so much so that Energiewende – literally: energy transformation – has become a word recognized in every household and office building in the German capital. Following the Fukushima incident in 2011, the Germans took an almost unanimous vote on moving away from nuclear energy and promoting renewables. This vote has lead to a consensus on nuclear phaseout, which has become a tenant of Energiewende, emphasized by the high public tension surrounding nuclear energy. Officials from Tokyo Electric Power Company say the level of radioactive tritium has been rising in sea water near the Fukushima Daiichi nuclear power plant. They say they can’t rule out the possibility that contaminated groundwater seeped into the sea. TEPCO officials said contained 1,100 becquerels of tritium per liter.That is 10 times the amount detected in previous tests. But they said the figure is still less than one-fiftieth of the government-set limit for water to be released into the sea. "The government official said that more than 16,000 residents received incorrect estimates. The official has been carrying out the ongoing survey among Fukushima prefecture, 2 million residents. They asked them to fill out the form about their activities during the first 4 months following the nuclear accident. Scientists of the radiological Institute used this form to calculate the exposure estimates. The official gives the residents their results as the data comes in. They said that among those who got faulty estimates more than 12,000 people were given their figure 0.4 mSv/y lower than what was actually correct. They said that the calculate was based on the wrong dates in the computer program. Fukushima official said even with the correct figure it's unikely the estimated doses would pose the health risk. The annual limit of radiation exposure for the general public in Japan is 1mSv/y. " I don't understand how the official could say that those who got faulty estimates wouldn't pose any health risk. if it was calculated 0.4mSv/y lower than what was actually correct, surely some of 12,000 people's real exposure estimate could be more than 1mSv/y. In fact some of Fukushima residents actually have been living in the area up to or more than 20mSv/y (= being exposed to external ionizing radiation up to or more than 20mSv/y) without taking into consideration of internal exposure through radioactively contaminated food and drink because the Japanese government has been applying UNSCEAR recommendation (up to 100mSv/y is safe). Talking about 1msv/y regulation in this case doesn't mean anything. Also WHO' report which was made based on the Fukushima survey report needs to be reevaluated as well. Thyroid examination hasn’t started till October 2011. Therefore WHO report was based on what Fukushima Health Survey group did before the end of September, 2011. The collection rate was 47% as of the end of September, 2011. A group of shareholders at Tokyo Electric Power Company is demanding the utility withdraw from the business of nuclear power generation. TEPCO operates the crippled Fukushima Daiichi nuclear power plant. Shareholders gathered in Tokyo on Wednesday. It was their first annual meeting since the utility was effectively placed under government control. TEPCO Chairman Kazuhiko Shimokobe apologized to shareholders for continuing to cause concern and inconvenience more than 2 years after the nuclear disaster. The utility has been slow to clean up the Fukushima Daiichi plant and continues to report leaks of radiation-contaminated water. TEPCO President Naomi Hirose asked shareholders to support the firm's plan to restart its nuclear reactors. He said management will quickly improve safety and strengthen operations. Japan currently possesses 44 tons of plutonium, according to the Atomic Energy Commission. Nine tons, including the latest shipment, are in Japan, while the remaining tons are in Britain and France, where spent fuel from Japan has been reprocessed. Storage pools for spent fuel are quickly reaching capacity at nuclear power plants across the nation. If Aomori Prefecture refuses to accept spent fuel, nuclear plants will be saddled with overflowing spent fuel pools and will be unable to continue operations. Direct disposal, or burying spent fuel without reprocessing, was considered under the previous Democratic Party of Japan government. But discussions have gone nowhere after the Liberal Democratic Party took over government in December. Plutonium problem lingers as mixed-oxide fuel comes to Japan June 25, 2013 THE ASAHI SHIMBUN A shipment of mixed-oxide fuel will arrive in Japan as early as June 27, part of the nation’s plutonium stockpile that is already equivalent to 5,000 Nagasaki-type atomic bombs. The shipment, two years behind schedule due to the Great East Japan Earthquake in 2011, is expected to be used for plutonium-thermal (pluthermal) power generation, a key component of Japan’s nuclear fuel recycling program. Tokyo Electric Power Co. (9501)’s discovery of leaks in water storage pits at the wrecked Fukushima atomic station raises the risk the utility will be forced to dump radioactive water in the Pacific Ocean. Leaks were found in three of seven pits in the past week, reducing the options for moving contaminated water from basements of reactor buildings. Water in the basements is from the months after the earthquake and tsunami disabled the plant two years ago, when disaster teams used hose pipes and pumps to try and cool the reactors. While the company has since built a makeshift sealed cooling system, underground water is breaching basement walls at a rate of about 400 tons a day and becoming contaminated, according to Tepco’s estimate. With Japan’s rainy season approaching, contaminated water levels are likely to increase at the plant 220 kilometers (137 miles) northeast of Tokyo. Reducing radiation levels in the water and pouring it into the sea is one of two options the utility has, said Kazuhiko Kudo, a research professor of nuclear engineering at Kyushu University. The other option is “to keep building above-ground storage tanks,” said Kudo. That’s a fight Tepco can’t win without stopping the underground water pouring into the basements, Kudo said. On March 30, Tepco started test runs of equipment that the operator says can remove 62 kinds of radioactive substances. Still, the purification system called ALPS can’t remove tritium, a hydrogen isotope. The water processing system has also had problems and was temporarily halted last week because of incorrect operation. Currently, about 280,000 tons of highly radioactive water is stored at the Fukushima plant, according to Tepco’s latest data. That’s enough to fill about 112 Olympic-sized swimming pools, according to Bloomberg News calculations. To store the water, Tepco dug underground pits lined with three layers of waterproof sheet to prevent seepage into the surrounding soil, according to the utility. The same method is used in industrial waste disposal, said Koji Kumagai, a geotechnical engineering professor at the Hachinohe Institute of Technology. ….At the same conference in Geneva at which Grover’s report was released, the Japanese government presented a counter report dated May 27, that dismisses Grover’s conclusions. According to Japanese authorities the “scientific basis” of Grover’s report is totally lacking. The “scientific basis” that the Japanese government relies on instead is the basis provided by WHO, UNSCEAR, ICRP and IAEA experts…. ….“Intervention trials should be done scientifically and ethically. Why is blood testing or urine testing required? Because of the possibility of what type of disorder is such testing justified? The idea is unacceptable because, we should not unnecessarily burden the local citizens by forcing medically unjustified examinations on them.”….. In the Japanese case, Grover criticizes the lack of effective distribution of stable iodine tablets to the population. He also questions the health protection system for nuclear workers: access to medical examination is not systematic (contrary to law) and the results of the examinations which are carried out are not adequately transmitted to the authorities. Finally, the labour force employed by subcontractors, a large majority of those working at Fukushima Daiichi, does not have a guarantee of access to such screenings. [For more information on the problems faced by workers at the Fukushima Daiichi site, see Gabrielle Hecht, Nuclear Janitors: Contract Workers at the Fukushima Reactors and Beyond] . Concerning the zoning system around the nuclear plant, Grover reminds us of the unacceptability threshold decided for Chernobyl in 1991: any higher than 1 mSv per year and the population was not allowed to return and live and work in contaminated areas. In Fukushima this threshold has been set at the level of 20 mSv per year. In areas with radiation measured at rates between 20 and 50 mSv, the population can freely access the contaminated areas during the day. The Rapporteur criticizes the use of “cost-benefit analysis” made by the Japanese authorities (following the ICRP recommendations) since such analysis does not respect the fundamental right to health of individuals. Grover argues that “collective interests” should never dominate individual rights, notably the right to health. Thus, he calls on the Japanese government to lower the threshold of exposure under which individuals are allowed to return to contaminated areas, and urges that displaced people receive compensation and free health protection in areas exceeding 1 msv per year. On the matter of education about radiation, Grover asks the Japanese government to stop all claims in a supplementary reader provided to schools that radiation exposure below 100 mSv per year is not harmful to a person’s health. [For details on the 100 mSv claim in the classroom, see coverage in Kinyobi. About decontamination, the Rapporteur expresses regret that no clear schedule to bring to contamination levels under 1 mSv has been set by the authorities beyond 2013. To clean school yards is not enough and Grover argues that it is instead necessary to decontaminate more broadly, taking into consideration the multiple “hot-spots” existing in areas which average under 20 mSv. For some of these zones, the population is now being called upon to return to their homes and communities. Finally, he criticizes the policy of involvement of the population in decontamination operations without providing them with proper equipment and informing them clearly of the health consequences. The Rapporteur also criticizes the financing by the state, which means Japan’s taxpayers, of damages for which TEPCO is responsible: an amount equivalent to 110 billion euros or approximately 145 billion USD, announced at the end of 2012. [For more information on the financial risks of nuclear power that are borne by taxpayers and not by the companies and shareholders that stand to profit, see the Asia-Pacific Journal Feature, The Costs of Fukushima. At the same conference in Geneva at which Grover’s report was released, the Japanese government presented a counter report dated May 27, that dismisses Grover’s conclusions. According to Japanese authorities the “scientific basis” of Grover’s report is totally lacking. The “scientific basis” that the Japanese government relies on instead is the basis provided by WHO, UNSCEAR, ICRP and IAEA experts. Many scientists and nuclear critics disagree with these positions and others argue that ties to the nuclear industry and the dual role of assessing nuclear safety and promoting the use of nuclear power make the conclusions put forward by these organizations questionable. The truth made available by UNSCEAR’s experts is a convenient one for the Japanese government: this UN agency in charge of estimating the consequences of the Fukushima meltdowns, is the same one that concluded that there were fewer than 50 immediate deaths due to radiation and under 15 deaths linked to thyroid cancers after the Chernobyl disaster, and is already anticipating “zero deaths” in the short as well as in the long term in Fukushima. This “anticipation” dates from March 2012 and was confirmed in their recent report. The Japanese government is revising history. It has been helped in this task by the French president, seven high-level ministers, and other Parliament members and industrial representatives during the state visit to Japan from 6 to 8 of June. The delivery of the 10 tons of MOX fuel which left La Hague on April 17, will also help the Japanese government to reopen nuclear power plants. Thierry Ribault is co-author with Nadine Ribault of : Les Sanctuaires de l’abîme – Chronique du désastre de Fukushima – published by Les Éditions de l’Encyclopédie des Nuisances, Paris, 2012. He is also co-editor, with Christine Lévy of: Catastrophy and Humanism – An overview after the march 11 disaster 震災とヒューマニズム 3・11の破局をめぐって published by Akashi Shoten, Tokyo, 2013. A French version of this article was published on the RUE89 website. 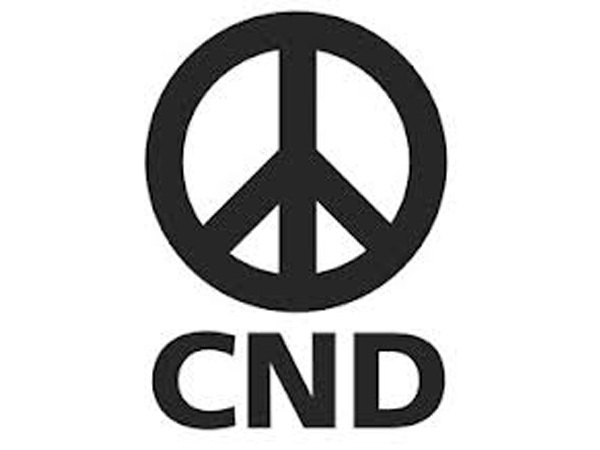 Fukushima and the nuclear industry’s fight against fear, Noel Wauchope, Independent Australia, 12 June 13,“……..We should also bear in mind the relationship between both the World Health Organisation and UNSCEAR to the International Atomic Energy Agency.